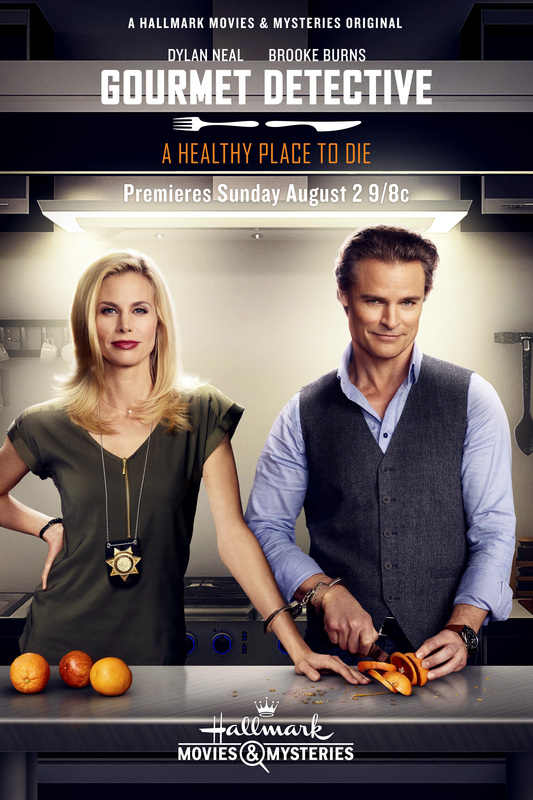 To say that the Hallmark Channel and Hallmark Movies & Mysteries channel have seen tremendous growth over the past several years is an understatement. The channels have seen increases in ratings and viewers and Hallmark has now become must see television. 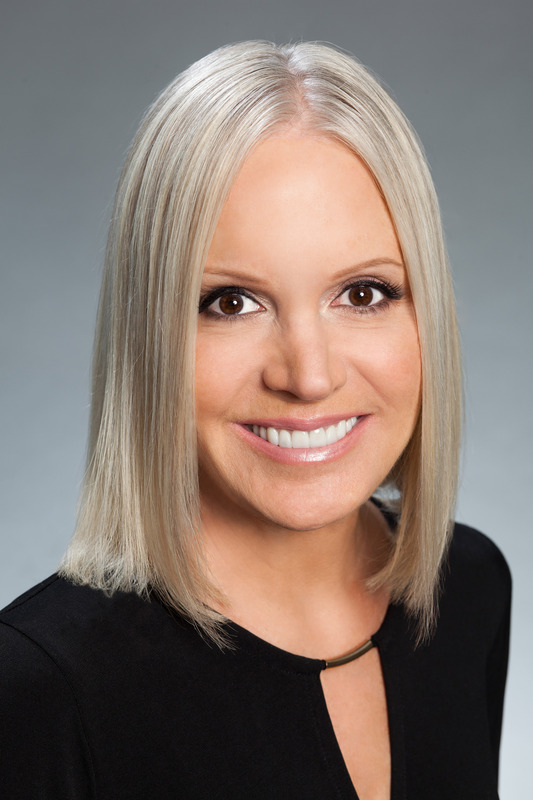 One of the reasons for the success of both channels is the work and vision of Michelle Vicary, who is the Executive Vice President, Programming & Network Publicity Crown Media Family Networks. She has led the charge with Hallmark’s move into original scripted series with hits such as When Calls the Heart, Good Witch and most recently, their most successful series to date, Chesapeake Shores as well as bringing the Hallmark footprint into daytime television. With her tremendous work, the future is bright for both networks. We sit down with Michelle to talk about the impact of social media on the network, the success of the Hallmark Channel original series and what lies ahead for the Hallmark Channel and Hallmark Movies & Mysteries. Pop Culture Principle – Hallmark Channel recently announced it would be cutting ads in their original primetime shows. Can you talk a little bit about what went into making this decision? Michelle Vicary – There were several reasons for this change. One, we always want to tell the best stories and we always want to be able to service all of our original series. So, giving that additional time to create more content and really focus on going deeper into the story from a programming perspective is something that we like to do. Part of the decision making was also born out of the legacy of the Hallmark Hall of Fame which has aired on broadcast and most recently with us with reduced commercial load and we think that that’s created a better and higher quality viewing experience. It’s that phrase right there, “a better-quality viewing experience”, that we are looking to deliver on. When people think of Hallmark and they think of our brand, they associate that phrase with everything that we do. So, whether it’s creating an original movie or an original series or thirty-three original movies at Christmas or the series we acquire from a third-party studio, they expect us to use that lens of a higher quality viewer experience. So, those were the decisions around the creative. I think from an advertiser’s perspective, it really is about providing a more pristine environment and a higher profile environment by not being surrounded by as many other brands or other commercial ads. I think it’s as simple as that and I also think the hope is that that C3 ratings will see a bump like our competitors have seen and so I think it’s that simple. Pop Culture Principle – Do you feel this move will not only increase customer satisfaction but the ratings as well? Michelle Vicary – Absolutely. Having more content and more story and thankfully for us, the success rate we’ve had with our original scripted series has been phenomenal. One of the things that you hear in a lot of cable today is that the viewers want more episodes, they want more story and they don’t want it to end so quickly. So, by giving them more each week, we hope we are delivering on that demand a little bit more. Pop Culture Principle – With fewer commercials, the network will have to charge more for ads to air during its original programming. Do you think this will present a challenge for the network? Michelle Vicary – The hope is that we will be delivering more viewers and we will be delivering a more quality experience. Some of the brand testing and focus group testing that our research team has done has resulted in viewers saying that they see other brands that are represented on the Hallmark Channel and near Hallmark Channel programming as elevating their brands as well and they trust them and see them as more quality because they are associated with the Hallmark brand. We do think that that’s valuable and I think greater focus on less is certainly worth more for advertisers. Pop Culture Principle – Hallmark Channel and Hallmark Movies & Mysteries have seen tremendous success with its movie franchises. Can you talk a little bit about their success and have you been surprised at all by the success? Michelle Vicary – Not only do we have percentage increases in the live data on both channels, but then also it has become appointment television were people are setting their DVR in a way that it creates an appointment where you know you will get your Hallmark Channel movie even if you are not available at 9pm and don’t want to miss it. The Live + 3 data for our movies reveals tremendous growth over the past three to five years. We also see the same ratings success for our series, of course, however, viewers of our movies interact with Hallmark movies the same way they do our series – that being, they set their DVRs for original movies as often as they would for a season pass of a series. The growth that we see demonstrates that viewers do not want to miss an original Hallmark episode of anything, no matter the format. Pop Culture Principle – There are currently over 80 movies in production right now. Are you ever concerned that the growth and success may be coming to fast or do you feel it’s right on target? Michelle Vicary – Those movies are in various phases of production and we will be premiering eighty-eight movies this year. We have a team that is programming two full networks and although eighty-eight movies is a lot, it’s the demand that drives the number of movies that we air. Again, the ratings speak for themselves and we certainly haven’t seen any fatigue with the number of originals that we are putting forth to the people. In fact, there is an expectation that on Saturday night there is going to be an original movie on Hallmark Channel and it’s becoming more and more frequent that on weekends you are going to see originals on Sunday nights on Hallmark Movies & Mysteries as well. 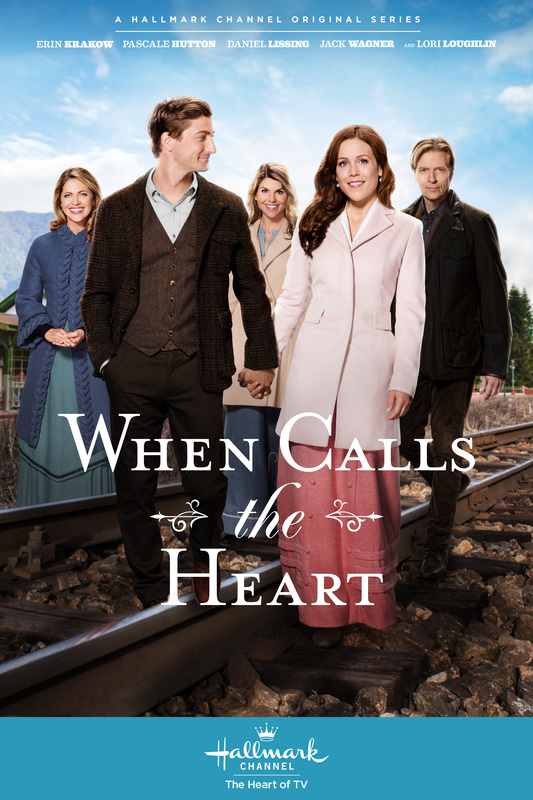 Pop Culture Principle – Hallmark Channel has several successful original series including Good Witch, When Calls the Heart and Chesapeake Shores. What do you look for when deciding to greenlight an original series? Michelle Vicary – Each series is unique for sure, but I think that a) everything that our original development team does is use our brand filter and the biggest attribute to that brand filter is an emotional connectivity to the relationships, to the characters and to the storytelling. We are not ashamed that when people spend time with us, that we will deliver on that expectation that we will hopefully transform them a little bit and we will do it in a way that will make them feel a little bit better and a little bit more positive about life and a little bit happier. So, we use that brand filter and it’s really about connecting people and relating to people and relating to situations that they might find themselves in. Of course, it’s storytelling, so we try and take ordinary people and put them in extraordinary situations and that is what great storytelling does. Also, we are an alternative for people in the television landscape today and the ratings are showing that there is a huge appetite and a growing appetite for what we are doing which is very different than what most of our competitors are doing. Pop Culture Principle – It was reported that the first season of Chesapeake Shores became the network’s most watched original series. Can you talk a bit about the show and its initial success? Michelle Vicary – The book property came to us from Sheryl Woods and it was this rich, multi-generational family story that had lots of twists and turns and lots of emotional storytelling inherent in the book. The characters were so rich and so distinct that we saw it immediately as an original series. When we put our showrunner John Tinker on, he developed that beautiful first season with such depth of character and subtlety in storytelling and tying things together when you least expected it and unraveling things just when you thought you knew what was going to happen next. Also, the cast is just tremendous! I mean that from Diane Ladd who has been a television and film icon for many years to Treat Williams, one of the most successful film, television and stage actors to Jesse Metcalfe who just does a tremendous job for us. The entire cast is just wonderful and I congratulate our team for really diligently putting together that cast from start to finish. It’s funny, as the cast came together, they all actually look like each other and they look like they could be related to each other and they act like they’ve known each other for a long time. The acting talent is just as important to the success of that show as any of the other decisions that we have made around it. Pop Culture Principle – Social media is an integral part of the Hallmark brand. From your perspective, can you talk about the network’s successful social media campaign and its effect on the network’s programming? Michelle Vicary – Pam Slay has been thinking about this for so many years and has worked to develop a tremendous team including Angela Megrey who really understands the Nielsen driven analytics, which in addition to the gut instincts of communicating with consumers in real time, is required to build a social media success story. These two created the machine, but it really is about tapping into the Hallmark Brand once again. So, the opportunities are almost infinite where you have an emotional connection to shows, you’ve got emotional connections to holidays which is so much a part of the Hallmark brand for the last one hundred years. Tap into storytelling and get the legacy of the Hallmark Hall of Fame. Tap into the seasons that people are experiencing that we are now expressing in the form of entertainment franchises with our Spring Flings and Summer Nights. It’s really speaking to the zeitgeist of what’s happening in people’s lives, not only from our entertainment and program perspective and what we offer them, but what it is they are going through and what they feed us, so it’s a conversation all the time. Then, we had this phenomenon which is attributed to our fans for When Calls the Heart. When we first launched that show, we started getting letters from fans called the Hearties and we were initially wondering who these fans were. Pam, Angela and Brian Bird did a masterful job in harnessing an enthusiasm for a type of program that people hadn’t seen in a long time and that touched people in ways that isn’t really on television anywhere else. The Hearties now have their own convention every year in Vancouver and I believe they have to cap it at 400 fans. They fly from all over the country to be at the convention. Every time one of our talent is on Home & Family, they have a lottery and people get selected and they can come to the show and see the guest and watch the show, but we have to cap it. I have beautiful artwork that they have created for me and the stars of the shows have quilts and blankets that they have made for them. It’s not like they get motivated when the show is on, they are motivated all year long waiting for the next season of When Calls the Heart. That is why we gave them the gift of a When Calls the Heart Christmas movie last year and I can tell you now that we are doing another When Calls the Heart Christmas movie this year! 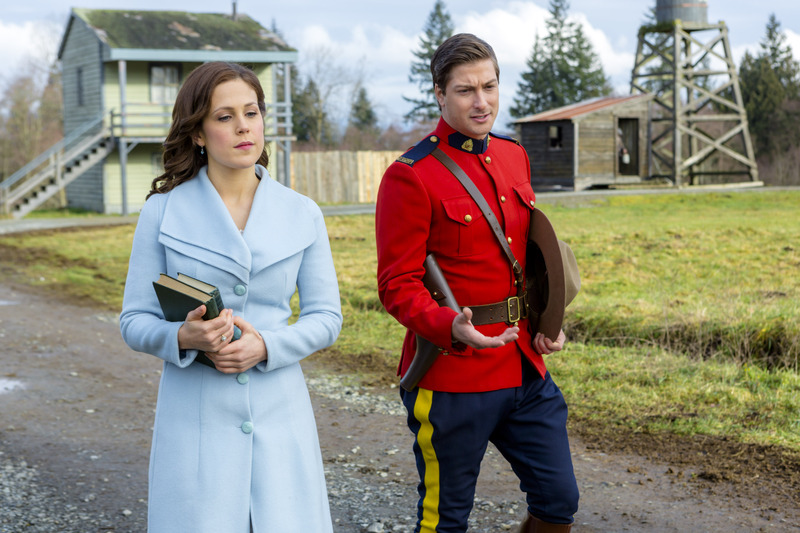 It is going to be really great and can’t wait for the Hearties to see it. If you want to learn how to grow you brand, grow your show and grow your network, this is an example of how to do it. We’ve created something really special because of the brand and because of the types of shows and the interactions and conversations we have with all of our viewers. Pop Culture Principle – The Hallmark networks are one of the few were the fans cross-pollinate between shows and movies. Can you talk a bit about that? Michelle Vicary – We say this all the time and it’s something that the owner of Hallmark Don Hall said and that is when you come to our channels, we are one of the few places that deliver an experience that is beyond any one show or any one movie or anything that is on the network. When you come to Hallmark, it’s a brand experience and it is an emotional experience and connection that I don’t think other networks have because they have different business models. We really see that as critical to our success and it makes us different, but it is making us successful as well. Pop Culture Principle – The networks are doing extremely well with its original movies and series on Saturday and Sunday nights. Any talk about possibly expanding your original programming to other nights of the week in the near future? Michelle Vicary – Well, in 2019, we have 110 movies on our slate, so we will absolutely expand to other nights. We talk about it all the time and since we are finding that the consistency of Saturday and Sunday nights is something that is so successful for us, we are really focusing on that right now, but we absolutely think that there is a place for original content from a brand and a channel that starts with the word Hallmark every night of the week. 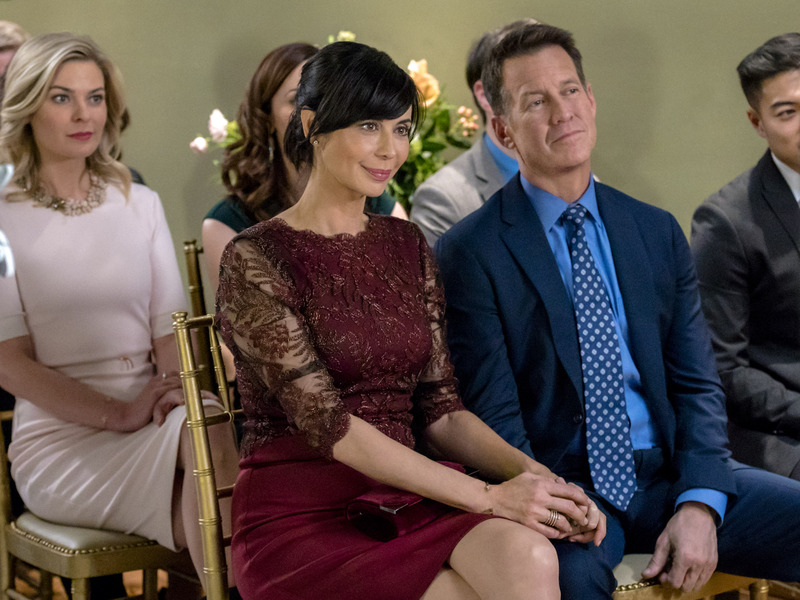 Pop Culture Principle – Good Witch just wrapped its third successful season. Any comments on the possibility of the series being renewed for a fourth season? Michelle Vicary – I can’t say anything yet, but I can tell you that we are extremely pleased with the performance in Season 3 and as we look at the competitive television landscape and you start to see a lot of the shows that are getting cancelled, we are so proud to say that in Season 3 of Good Witch, we are seeing growth year over year. It’s why we gave another season order to When Calls the Heart. 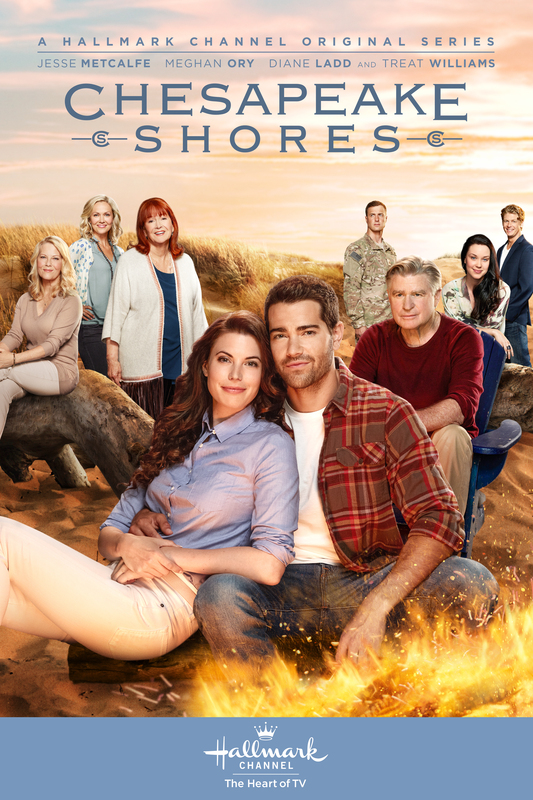 Season 4 was their highest rated season yet and as you saw with Chesapeake Shores as we go into Season 2, right out of the gate it is our highest rated series on the network to date. I can’t say anything yet, but I congratulate all of our teams that support the programming and make us successful in subsequent seasons and that is a pretty rare statement to make. Also, we will be doing another Good Witch Halloween special which we hope the fans will love. Pop Culture Principle – Many are calling this the new Golden Age of television and there are some who feel that there is too much original programming on networks today. What are your thoughts? Michelle Vicary – I’ve read several articles from people in your industry that say it’s getting harder and harder to watch the number of episodes you need to in order to make the same kind of evaluations that you were able to in the past. You have to make a decision in the first one or two episodes that you watch where that use to not be the case. So, I know there is a lot of programming out there and I think the great thing for us is that because we are an alternative to so much that the appetite for our content and because we play in such a unique space and the fact that we provide an alternative and an escape from things people want to get away from sometimes and relax and enjoy themselves, I think we are not in a position where we are necessarily always competing with all of that other programming to gain the same audience because we are trying to provide something different to people. Pop Culture Principle – Diversity is becoming a major part of today’s television landscape. Can you talk about Hallmark’s approach to diversity in its original programming and the importance of diversity? Michelle Vicary – We understand that diversity is as important an issue and part of programming as certainly making great content and we are very focused on it. We are excited about several projects that we have coming up soon. We just had Alexa PenaVega in Destination Wedding for us, Al Roker’s mystery movie series starring Holly Robinson Peete gets its debut this October. I am beyond thrilled that we are in business with Judy Smith, the original Washington D.C. “fixer” that Shonda Rhimes based the ever-popular Olivia Pope and “Scandal” on, so we are looking at a lot of the talent that speaks to our audience. And you’re right, diversity is so important, and we look forward to making as many top programs from as many top people in the industry as we can. Pop Culture Principle – Where do you see Hallmark Channel and Hallmark Movies & Mysteries in the next 5 – 10 years? Michelle Vicary – I think for us expansion in original content is where we plan to play and I think content is king. It’s one of the biggest clichés in the business, but it’s true. We see the value in that and being able to control when and where our content is seen. Right now, all the original content that we are making and that we’ve made over the last several years, it doesn’t have an end date here and can be licensed somewhere else. All of our original content stays on our network. I think continuing to differentiate and provide key services under the Hallmark name and growing original content on both of those networks, in particularly Hallmarks Movies & Mysteries. We’ve had such tremendous success with our character-based mysteries and we have attracted such great talent. We are attracting a lot of really interesting talent who want to play these kinds of characters and want to recur in these new roles and it’s been really a lot of fun for us to meet these people and have them work with us. So, it’s definitely full throttle growth in original content. Hallmark is the best channel and the only one I watch. Good Witch is my favorite show of all the shows I have watched through the years. The Good Witch takes me to a happy place where cares disappear, where life-lessons are taught inconspicuously, and I never want to leave. Never want it to end! Catherine Bell and James Denton are meant to act together. Love romance, love kindness, and all things Good Witch! Hallmark, this series really does change lives for the better. The world is harsh, but Good Witch makes me forget for an hour on Sunday, that life can be so much better. Thanks Hallmark!